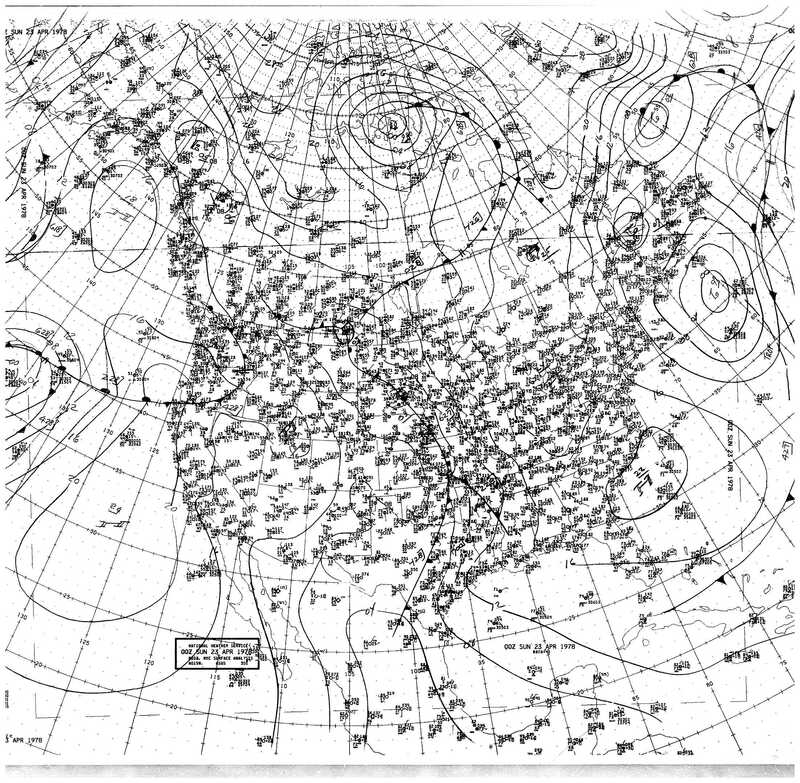 Provided here is an extensive archive of historic surface analyses beginning in 1879 scanned from the NOAA Library located in Silver Spring, Maryland. Due to the fact that these were hand drawn and scanned, clarity is not guaranteed. To choose your analysis of choice, please use the following form to submit your request. Your selection will display in a new window or tab. 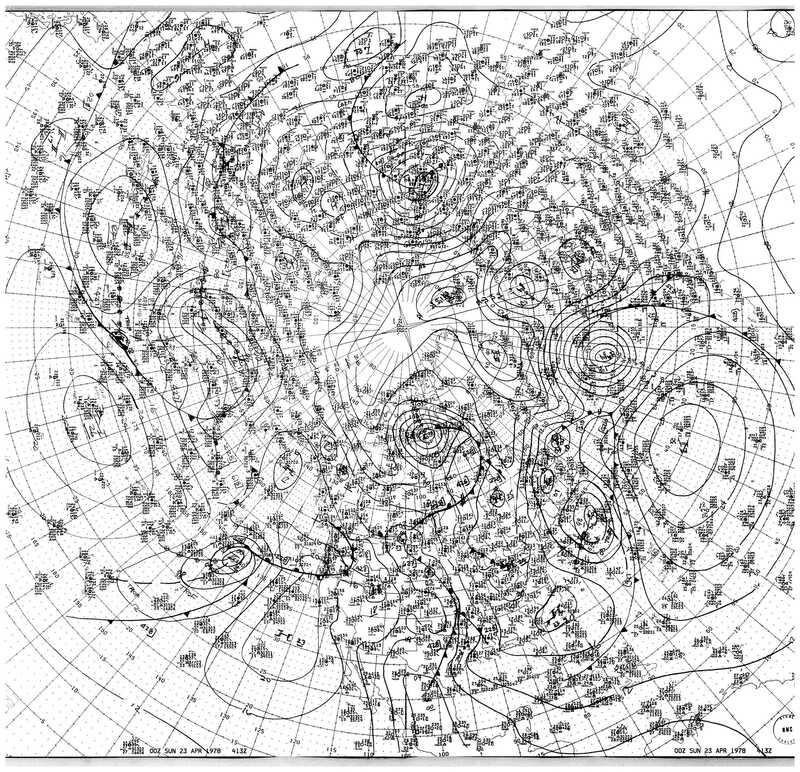 Surface maps for both North America and the Northern Hemisphere are available. Click below for an example of what your chosen map might look like. To choose an analysis, please use the following form to submit your request.